1920s, a time of G-men, communists and booze running. CBC Music celebrates the top jazz artists of the 20s in honour of Frankie Drake, Toronto's only female detective....on CBC television. 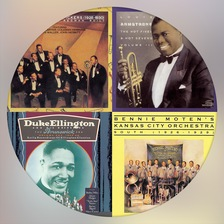 Hear: Louis Armstrong, Duke Ellington, Jelly Roll Morton, Fats Waller and more!